The Education Service Center – Region 19 honored 17 Canutillo ISD students participating in the Migrant Education Program at a graduation summit on April 22. 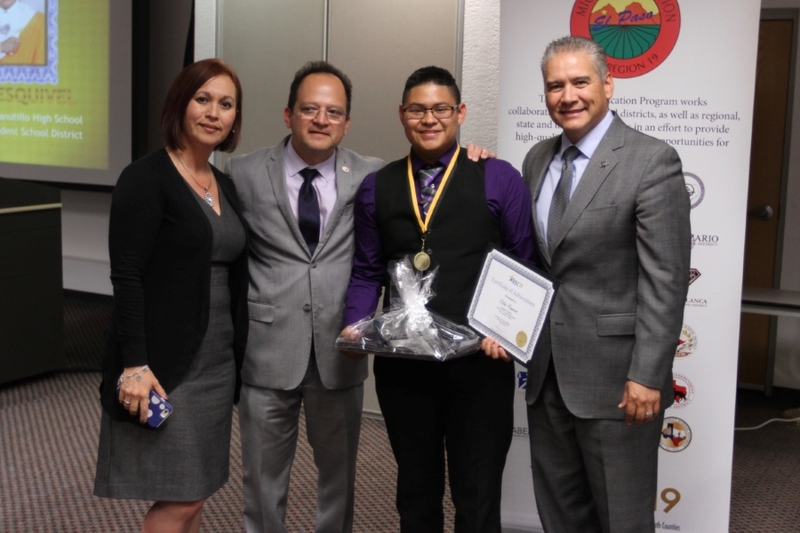 Elihu Esquivel was recognized as an exemplary student and Tanya Vasquez received the top regional award as Valedictorian. Silva said parents were also full of pride to see their children achieve goals that they themselves were not able to achieve. "Parents began to realize that going to college to obtain a degree is within reach for their children." The students were inspired by a special presentation from keynote speaker Danny Diaz, the real life character represented in the Disney film “McFarland USA." Congratulations to all Migrant Education Program students!